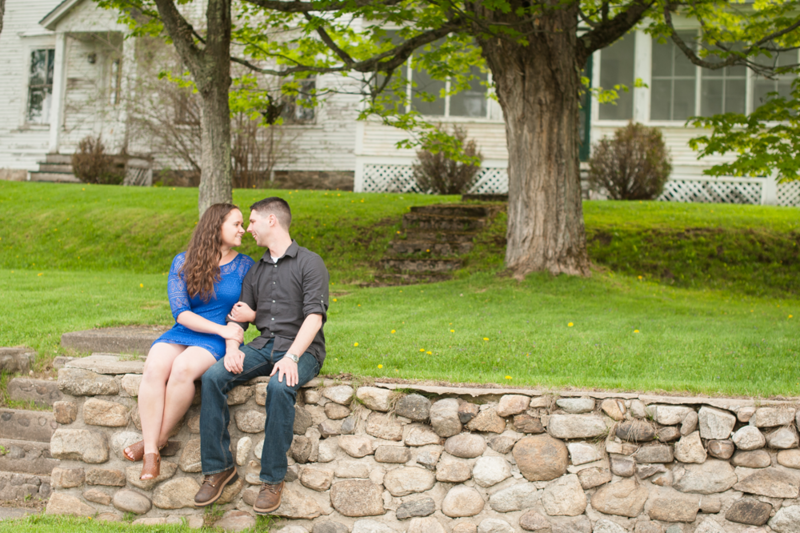 A quick trip down to Saranac Lake with Lindsey and Tristan made for a perfect, adventure filled Get to Know You Session! With a love for Donnelly’s Ice Cream and an annual camping spot nearby, these two picked perfect and meaningful spots for their shoot. Our first stop was at Donnelly’s which was just as much of an experience for us since we’d never had their ice cream before! They have a gorgeous old farmhouse next door where we started before heading across the street to soak in the mountain top views. After some fun at the farmhouse and in the field across the street, we headed back over to Donnelly’s for some ice cream! We only waited for a couple minutes, and as luck would have it, the bench out front cleared out just for these two! After their last outfit change we headed over to their annual camping spot. And what a beautiful location! Just a quick paddle in their canoe. No big deal. Hi All! Its been a bit crazy over here lately but we couldn’t let too much time pass before we got a sneak peek of Heather + David up on the blog. We had a great time with these two at their Holiday Inn wedding. Take a peek at a few of our favorites from their day! Everyone piled in their cars and we took a quick trip down to the waterfront! And yes, we caught a few great smiles from David!!! Congratulations again Heather + David! Stay tuned for a full blog post of their wedding day! 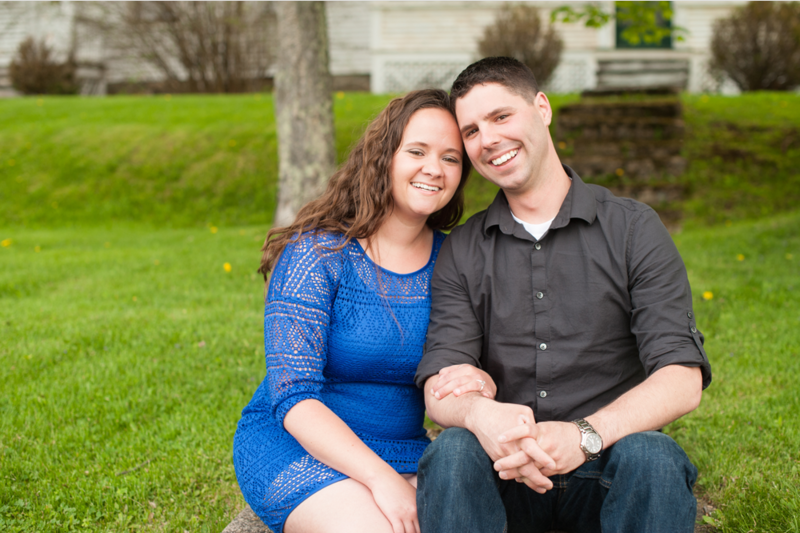 With the crazy weather we’ve had all spring we were trying to figure out a good day to get together with these two for their Get to Know You session! And boy are we glad we waited! It was a gorgeous Sunday evening, so nice that even the mosquitos could help but join us. 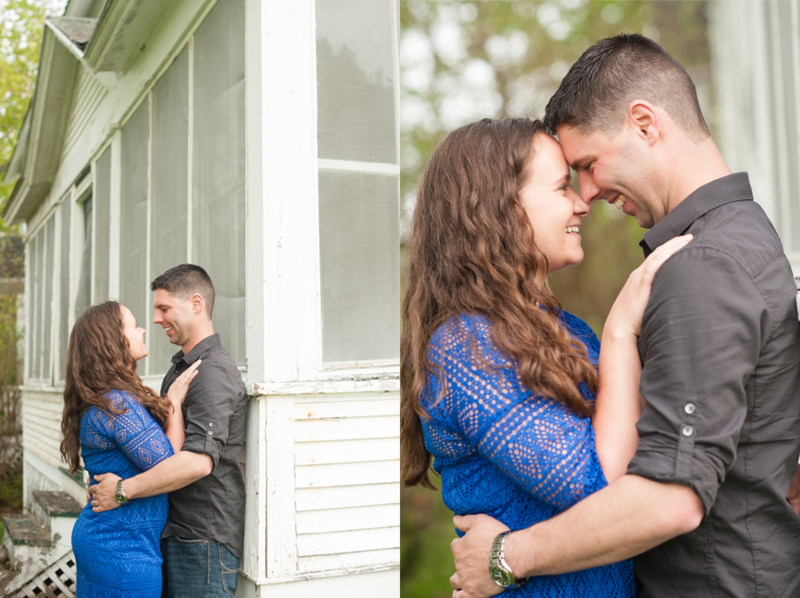 With their wedding upon us tomorrow, we couldn’t wait to get a sneak peek up of Taylor and Andrew. Take a quick peek at these two on there last few days before they go from engaged to married and we get to post all sorts of amazing wedding day images! We had a quick outfit change and tried to keep away from those pesky mosquitos! You’d never tell, but we were all swatting away between every click of the camera! We can’t wait for your Wedding tomorrow!!! Stay tuned for a sneak peek of someone else wearing white! We had a great morning on the water with these two last weekend! They were absolute troopers when they asked us what time we were thinking to start and promptly said 7:30 am!!! How great do these two look on an early Sunday morning!?! Stay tuned for more images from their session. So there are a couple reasons that I’m writing today’s post. One, Debbie is out of town for a Newborn Photography Seminar with Rachel Vanoven and number two, I’m too excited to get Rebecca and DJ’s sneak peek up to wait for her to get back! So before we continue, let me preface this with the fact that Debbie is the writer in this family, so bear with me! Rebecca and DJ are our “first” wedding of the 2014 season and what a great couple to kick the season off! We had a great time getting together with them for their get to know you session and were super excited for their wedding just a short few weeks later. One of our favorite moments had to be when we were emailing back and forth finalizing everything with Rebecca and she happened to mention: “So, DJ still doesn’t have our wedding day off yet, but he’s assured me that he’ll get it!” Wedding prep can always get a little crazy, but these two did a fantastic job of taking it in stride and putting together a gorgeous day! So without further adieu, a sneak peek of Rebecca & DJ! St. Mary’s in Champlain, NY is an absolutely gorgeous church and is quickly becoming a Jared and Debbie favorite! And, in true Jared and Debbie fashion we took a quick photo with the newlyweds before we headed to out to rush home and upload all of their images. But, I had a chance to chat with DJ before we left. We were just chatting away and he said “I’m going to able to be home more with my new job, I’m married to Rebecca and we’re headed on vacation tomorrow. Everything is just falling into place.” I could see how genuinely happy DJ had was, and it just made seeing the way he looked at Rebecca throughout the day that more meaningful. Clearly an amazing couple! We’re so excited for you both!